This article focus on some common Questions about Dental Implants. For anyone who is considering dental implants, you probably have some questions with regards to them. For instance, do you know the advantages to choosing this option? Am I a good candidate for that procedure? 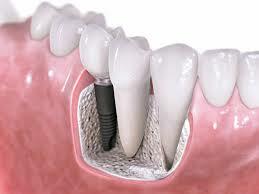 Here also discuss some other questions about Dental Implants. Report on Overall Marketing Activities of Grameen Phone ltd.
How to write Distributor Announcement Letter?